It’s time to be awesome. It’s time to be a trail-blazer for your organization and the community. It’s time to become a better leader, communicator, facilitator and collaborator. It’s time to attend the Wabash Valley Leadership Institute! 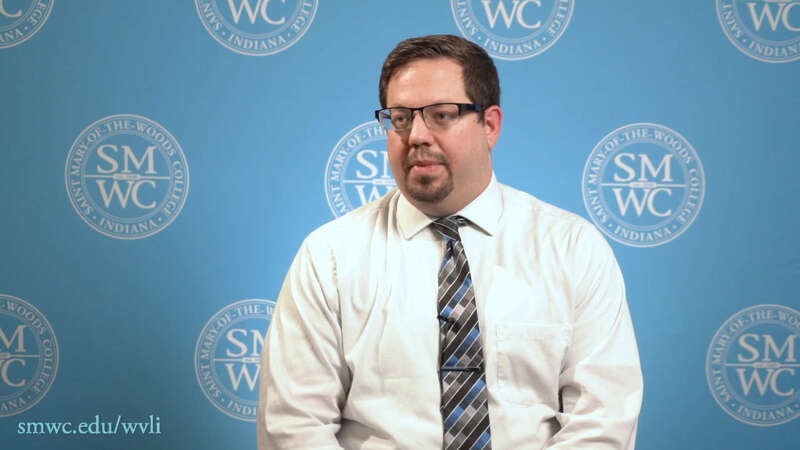 Saint Mary-of-the-Woods College (SMWC) and the Terre Haute Chamber of Commerce have partnered to launch the Wabash Valley Leadership Institute (WVLI). As a collaborative effort between the two organizations and with the support of community organizations and sponsors, the purpose of the WVLI is to engage and energize leadership efforts in the Wabash Valley. The program curriculum will focus on leadership skills with the intended effects of personal growth in leadership, organizational behavioral skills, and potential community growth in a leadership capacity. Through this program, participants study leadership curriculum, explore leadership skills and gain community knowledge in a measured environment. Participants engage in a variety of learning methodologies, including self-assessments, lecture, case study review, reflection, team building, and peer coaching. Upon graduation, the participants will be capable of building a better team, using conflict resolution skills effectively, and building personal leadership skills. The WVLI sessions are presented twice a year on the campus of Saint Mary-of-the-Woods College. The weeklong (Monday – Friday) schedule is intense and requires overnight stays on the campus at the Guest House. Fifteen participants are chosen for each cohort based on their display of upward mobility behaviors such as patience, fortitude, humility, and accountability. Individuals who have shown leadership skills in their professional and personal lives and wish to learn additional skills or refine those skills are the ideal candidates for this program. The Wabash Valley Leadership Institute is open to adult learners from across the Wabash Valley. This region consists of Clay, Parke, Putnam, Sullivan, Vermillion, and Vigo counties. Additionally, those participants who successfully complete the Wabash Valley Leadership Institute will receive three credit hours towards a master’s degree. Apply now for the Spring 2020 cohort – February 3-7. Applications are due by 12/31/2019. For more information call (812) 535-5277 or email wvli@smwc.edu.